Just fantastic. Rich, interesting, very beautiful. Amazing. January 08, 2009 Half terrific. score worth the pruchase. Unfortunately, the two other pieces are concert pieces (no surprises there), plus 'Nimbus 2000' is also in the 'Children's suite', but are not on the soundtrack, so therefore quite useless to the average consumer. It would have been nicer to include other pieces, such as the train ride, or the quiddich match, though, quidditch I suppose is adequately represented in HWW. Overall, though I would say it was worth the buy. I have to note, this was the movie in which I first found out about John Williams, almost simgle handedly influencing my later musical tastes, so it does have a bit of sentimental value to me as well. 38 of 77 people found this review helpful. complicate and great anthem with trumpet, horn and trombone sections in the middle. The second mvt., The Sorcerer's Stone, is a "Lento" (Slow) passage in this Suite, and for me it isn't an important part... The third mvt., Nimbus 2000 is a Wind Himn for the Quidditch Match, a very good piece for a concert "Intermezzo". The last and most famous mvt. 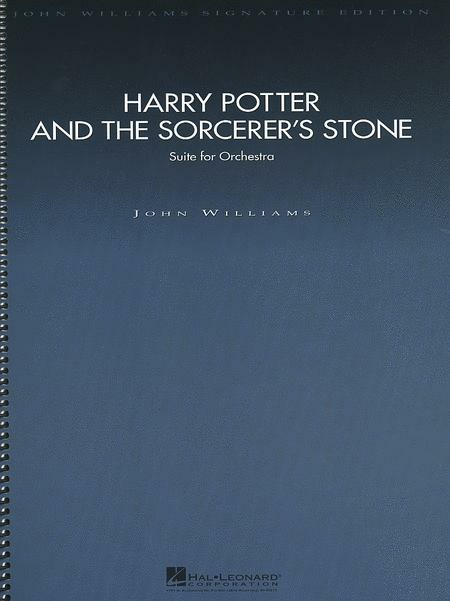 Harry's Wondrous World, was used for the End Titles of the film, resuming all the important themes in the movie John Williams create a big and Mahlerian medley to close this wonderful suite. 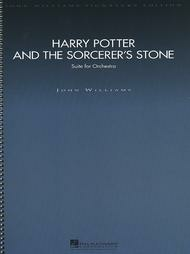 Purchasing this book the magic world of John Williams have no secrets!!! 41 of 85 people found this review helpful. ...material!!! I just got this score today and stuck in my soundtrack to follow along. It was so facinating to both see and hear William's use of orchestral colors!! Definately a great score to be studied by someone who is serious in composition or composing for movie music!!!!! 36 of 82 people found this review helpful. Great music that almost anyone will recognize. Fun to play. Also from a very good composer. 35 of 76 people found this review helpful.